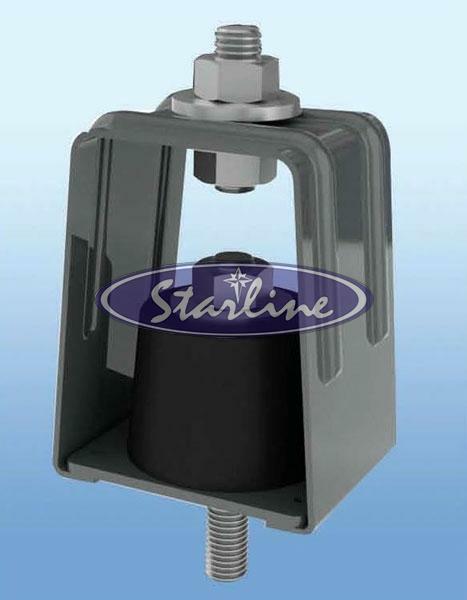 Anti Vibration Neoprene Hanger that we manufacture, export and supply is widely recommended for the isolation of vibration produced by suspended mechanical equipment less than 15 kw such as exhaust fans, duct work, fan coil units, piping etc. Our Anti Vibration Neoprene Hanger is especially recommended to isolate sources of audible frequency of vibration where static deflection requirement is up to 13mm. Furthermore, the frame of the Anti Vibration Neoprene Hanger is made from G.I. Steel and powder coated to 100 microns paint thickness (exceeds 1000 hours of salt spray test) and conforming to Astm B- 117. Frame is made of G.I. Steel and powder coated to 100 microns paint thickness (exceeds 1000 hours of salt spray test) and conforming to Astm B- 117. Option : Frame hot dip galvanised. Part Number prefix with "HDG". 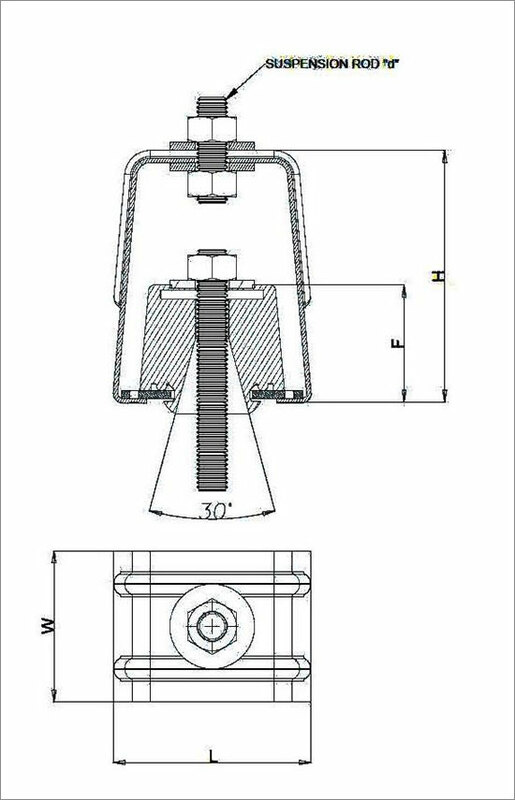 Rubber mount is designed with hollow conical section thus ensuring loading of rubber in shear as well as compression mode and hence provides better isolation performance. Selection / Ordering : Point load (Calcutated to include all variables such as weight of water in pipe lines etc if applicable).